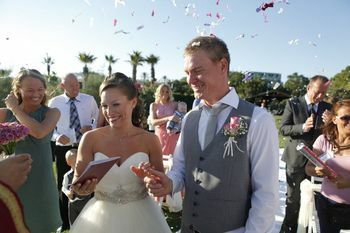 I would like to share my thoughts about Kathrine & Anders Wedding In Turkey-Antalya. Kathrine & Anders, their daughter, and their family were very cute and cheerful wedding group. 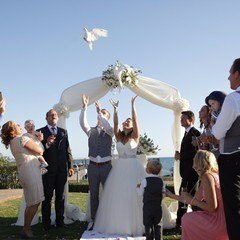 This wedding group was a family from Norway Who was distributing the warmth around like the sunny Antalya. We have prepared for Kathrine & Anders and their guests an unforgettable formal Wedding Ceremony in Turkey-Antalya and wedding dinner reception on the beach with extraordinary experienced employees of Gloria Verde Hotel which is located in the Belek region. All the positive energy was reflected wedding photos through the to the laughability of the bride ‘’ Kathrine’’.There was a wonderful wedding album with the energy-filled photos. We still keep this beautiful wedding album and looking back again and again with great pleasure. Couples who would like to have their Wedding In Turkey always choose almost the same venue and the same decoration without hesitation. 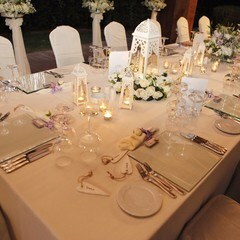 Our company Wedding City Antalya’s goal as a Wedding Planner In Turkey is the realize your dreams. 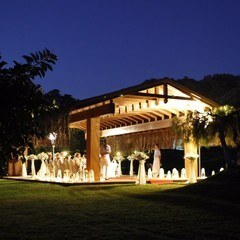 So we are able to organize your dreams wedding in Turkey / Antalya with great pleasure. Let entrust us with your dreams as Kathrine & Anders did. 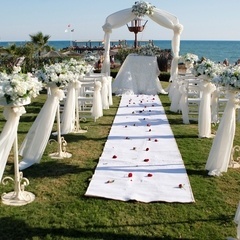 Please contact us for further information and question of getting married in Turkey - Antalya.